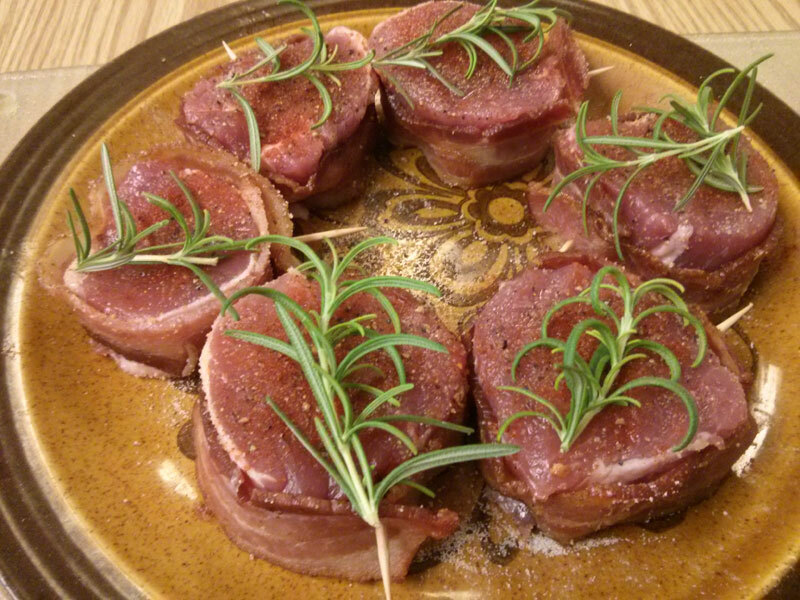 This Bacon-wrapped Boneless Pork Tenderloin Medallions recipe is a delicious entree especially when paired with the sweet and spicy Strawberry Balsamic Chipotle Sauce. Put all ingredients in a blender or food processor and blend till smooth. In a medium saucepan, over medium heat, add ingredients and cook for 10 minutes, stirring occasionally. 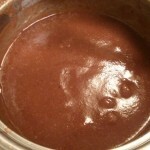 Reduce heat to low and cook for an additional 5-10 minutes, stirring occasionally and until the sauce becomes thick. Parcook bacon for several minutes until half cooked, starting to crisp, but still pliable. 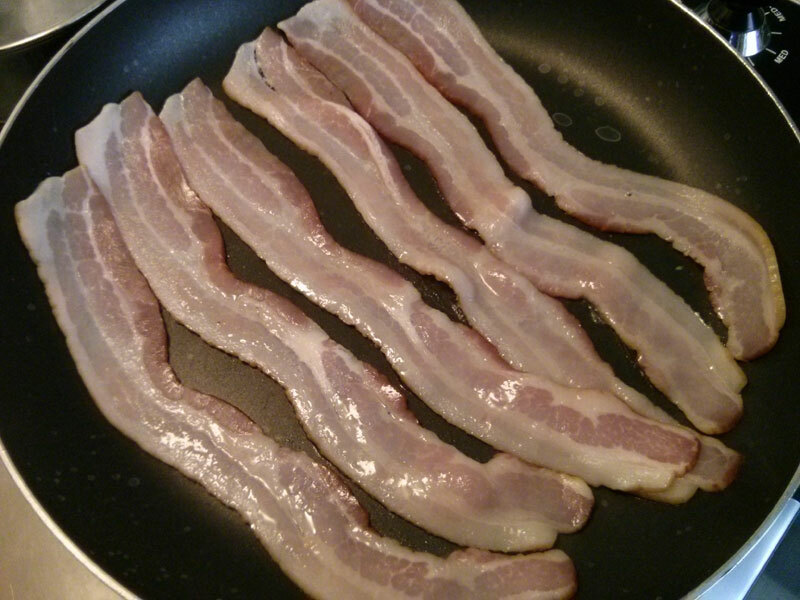 Place bacon on some paper towels and let cool for a few minutes. 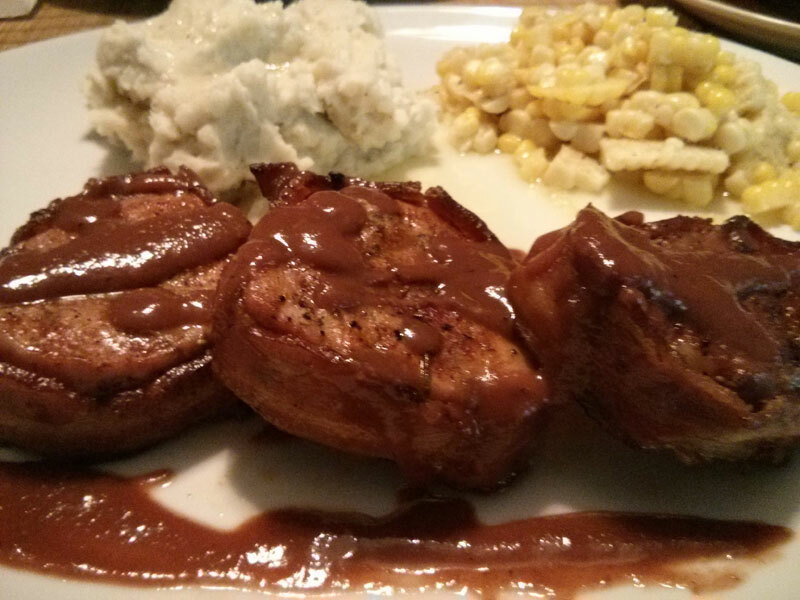 Cut pork tenderloin into 6 medallions using the bacon as your guide. 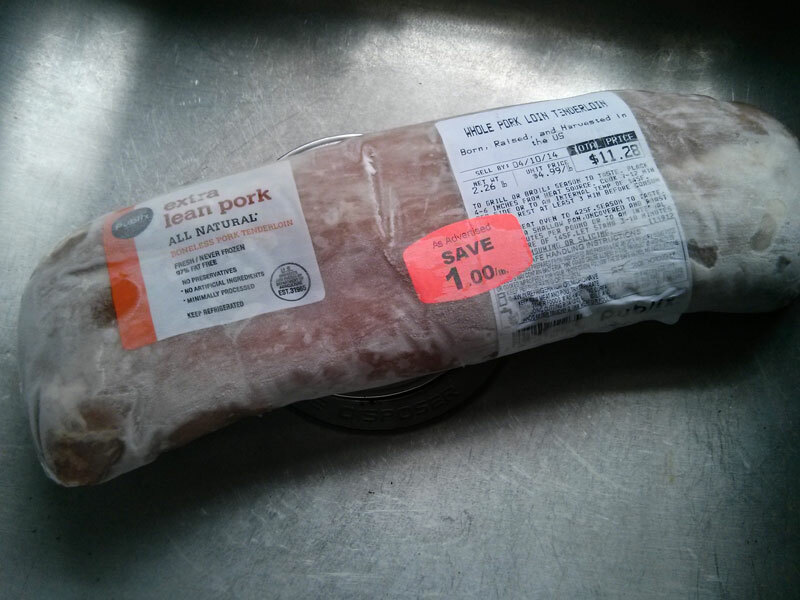 Wrap the bacon around the pork tenderloin and secure each piece with a toothpick. 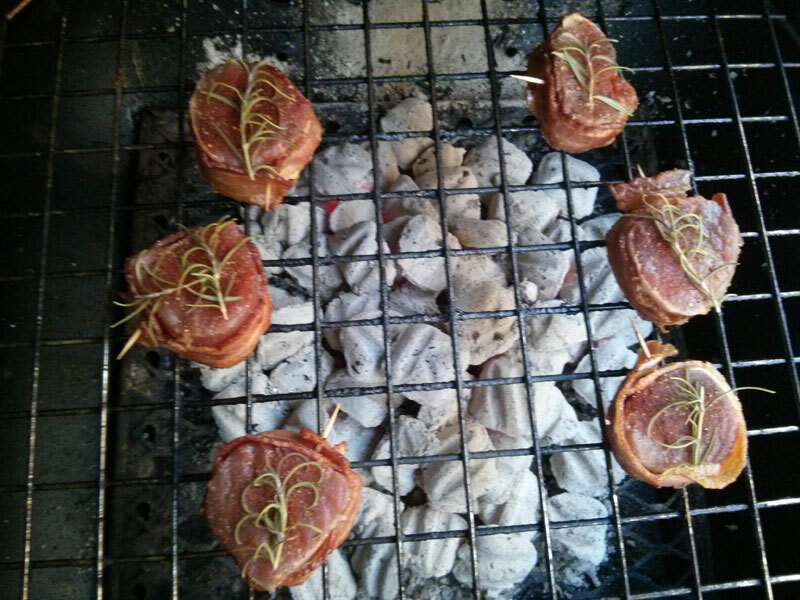 Rub both sides with the rosemary, season with salt and pepper and place sprig of rosemary on each medallion. When grill is hot - Grill pork medallions for 8-10 minutes per side or until the internal temperature reaches 145 degrees F.
Remove from heat and let rest for 3 minutes before plating. Serve with Strawberry Balsamic Chipotle Sauce drizzled over top. Inspired by a similar type dish at Fat Jacques Cajun Cafe back in the mid 1980's that was made with duck. Filed Under Meats, Southwestern | Tagged bacon, balsamic vinegar, brown sugar, chipotle pepper, pork, rosemary, strawberries. Bookmark the permalink.